C-MAC SMT Ltd provides a scalable capability from prototype through to medium volume and processes that make hand-over of a design for production straightforward. They undertake the manufacture of “stranger” and “repeater” products, not reluctantly tolerating them in the hope that volumes will rise. And, their rigorous procedures for customer data avoid expensive mistakes. 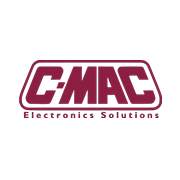 Overall I have no hesitation is recommending C-MAC SMT Ltd as a Contract Electronic Manufacturer of choice. SMT has been providing quality populated printed circuit boards for our organisation for over four years. Throughout this time we have been impressed with the continuing professionalism and outstanding customer care that is part of the business culture of SMT. We would recommend SMT to any business looking for a supplier they can trust on quality, time delivery and customer service. 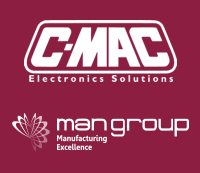 Having worked with SMT Developments (now C-MAC SMT Ltd) for around 6 years, for contract electronic manufacturing, in both my present and previous companies, I can vouch for their quality, flexibility and responsive approach to electronic manufacturing. At all levels of the company they promote, and live these values, to the benefit of the customer. Production is meticulously planned and deliveries take place to promised schedule. I would like to say a big thank you for the superb service we have received from SMT Developments (now C-MAC SMT Ltd). We are extremely happy with the quality of the finished boards, with your excellent attention to detail and with the fast turnaround. Your flexible approach to our requirements and the assistance you offered us during the component specification and quotation phases of the project are also very much appreciated. Please pass on our sincere thanks to everyone involved. We will definitely be using you again! From purely a visual inspection point of view the quality and precision of component population/placement is OUTSTANDING!